I have had severe systemic candida for many years. I now feel like I have a leaky gut and that toxic bacteria is now in my liver and when I eat it enters my stomach with bile, causing embarrassing gas problems. I'm wondering is there any way to heal my liver & gut and kill the candida? Or have I left it too late with wide spread damage to my body? I have been to many many doctors over the years who all said my illness was in my head, thankfully I never took anti-depressants. My candida infection problems started when I got my tonsils removed, my body has never been the same. Would be so grateful for advice. No, it's not too late. Our bodies have a tremendous ability to heal when we give them the proper raw materials. I'm not sure if they ship to Ireland though. If not, there are other ways to go about ridding the body of candida albicans. It's just that this program makes it very easy and it takes less time than other methods. I've recommended it to many friends, family members, and visitors to this site. 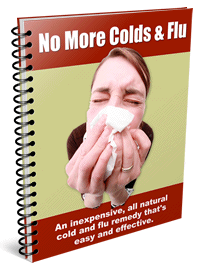 Everyone has had a tremendous change in health and their candida symptoms are completely gone. I use it too on a yearly basis as an excellent full body detox (I do the one month program annually). You'd need to be on the full three month program (the Colonix and ToxinOut products) to get your health back on track.